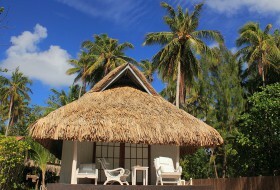 The Pension Va'a I Te Moana is brand new in the tourist landscape of Rangiroa. 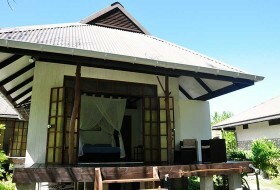 Located a few minutes walk from the pass of Tiputa, it features 3 new bungalows including 1 unit with kitchenette. Cinthia and Andrea, young Italian-Polynesian couple and owners of the guest house already have experienced accomodating guests while living in Europe. 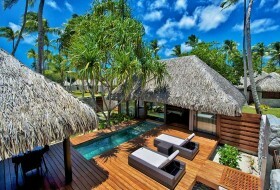 They will take good care of their guests so that they will spend an unforgettable stay in Rangiroa. 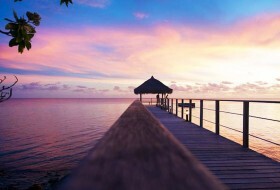 The Raira Lagon, small family hotel, located in the main village of Avatoru on the island of Rangiroa, welcomes you in a quiet and friendly atmosphere. 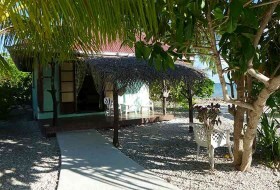 10 air-conditioned, bright and well equipped farés (bungalows) await you in a garden full of coconut trees, hibiscus and palm trees. 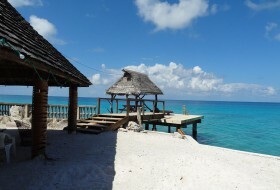 Its restaurant-bar overlooks a nice small crick with a beautiful view on the turquoise lagoon. 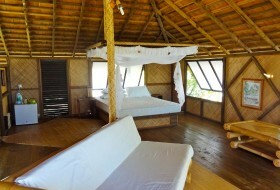 For a family vacation or a romantic getaway, divers or not, you'll enjoy your stay at Raira Lagon. 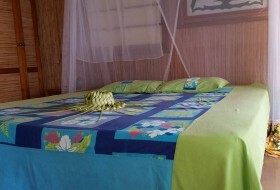 The Tevahine Dream welcomes you in its beautifully decorated, clean and original bungalows. 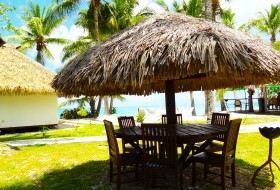 Meals are Polynesian and high quality, they are taken together with Norbert and his family on a large table, in a warm atmosphere. 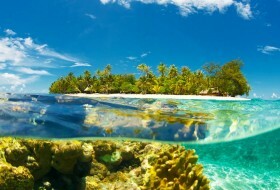 No white sand beach, but the opportunity to swim and snorkel in front of the property.